Book now a hotel of the Club program and get our exclusive discount from your first booking, no need to sign up. You can also donate without extra cost 0.5% of the total amount of your reservation to a Charity Project of your choice. Seville is the capital and largest city of the Community of Andalusia and the Province of Seville. It is located by the river Guadalquivir. Its historic centre is the third largest in Europe and contains three Unesco World Heritage Sites, the Alcázar Palace complex, the Cathedral and the General Archive of the Indies. The Semana Santa (Holy Week) and the Feria de Sevilla (Seville Fair), also known as Feria de Abril (April Fair), are the two most popular festivals. Seville is also known for the famous flamenco and the bullfights. Just 10 minutes' walk from Seville Cathedral and the Alcázar, this traditional Andalusian guest house offers simple air-conditioned rooms with free WiFi and TVs. 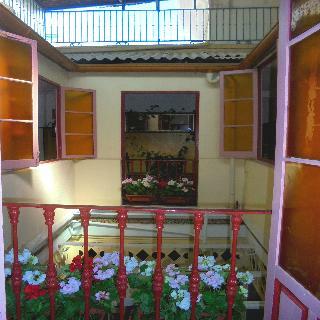 It offers a 24-hour reception and a terrace with views of the old town.Pension Nuevo Pino is a guest house situated just 400 metres from San Salvador Church and Seville's Fine Arts Museum, in the historic city centre. Plaza de Armas Square and Seville Bus Station are a 10-minute walk away.A basic buffet breakfast is available each morning for a surcharge. The property also offers free access to computers. There is a shared fridge and hairdryers are available upon request. Free hot drinks are available all day.Pensión Nuevo Pino is next to La Campana and the famous Calle Sierpes Street. Public parking is available within 100 metres away. 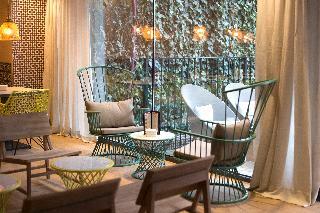 This superb city hotel enjoys a prime setting at the heart of Seville. The hotel boasts a peaceful location on a quiet side road in the Arenal old town district of the city, between the opera house, the bullfighting ring and the cathedral. The hotel offers the ideal setting for business and leisure travellers visiting the city with its strategic location and exemplary facilities. The hotel is close to many of the enchanting tourist sights of this mesmerising city, and a myriad of entertainment venues are within easy access. This heritage hotel occupies a building which was once a royal palace, and has embraced and retained regal beauty. This luxurious hotel affords guests the chance to feel like royalty, with impeccable service and elegant surroundings. The stunning patio restaurant features historical picture tiles and Artesonado wooden ceilings, immersing guests in rich culture. 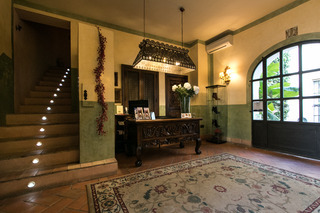 This magnificent hotel boasts a prime location in Carmona, 10 minute walk from the city centre. The property offers ease of access to the bustling area with shops, dining venues and vibrant nightlife. Surrounded by well-equipped green gardens, this welcoming establishment takes pride of stunning Mudéjar architectural style and unmatched luxury. The large and luminous rooms and suites are a perfect retreat for relax after a long day out in the city. The units are carefully designed in a classical style and come complete with top-notch amenities to make guests' as pleasant and memorable as possible. The in-house restaurant is sure to enchant travellers with exquisite Andalusian specialties and unique ambience. Travellers may also unwind on the spacious atrium or delight in a refreshing drink from the bar. There are beauty services on offer and the friendly staff at the 24-hour reception will be happy to assist guests in any need they may have.